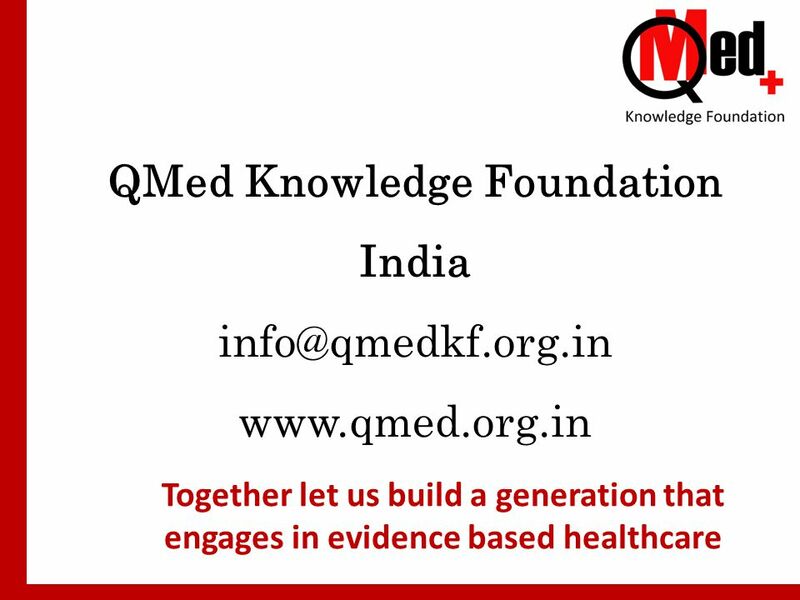 QMed Knowledge Foundation India Together let us build a generation that engages in evidence based healthcare. 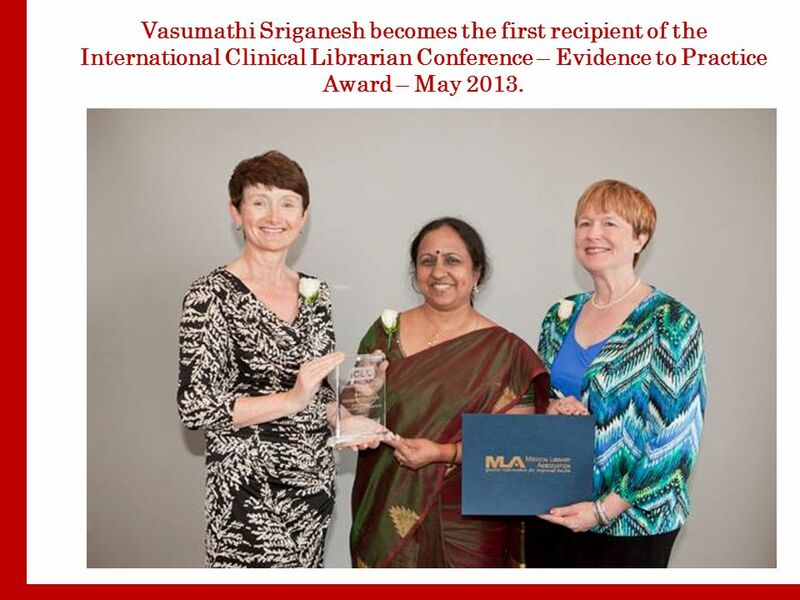 12 Vasumathi Sriganesh becomes the first recipient of the International Clinical Librarian Conference – Evidence to Practice Award – May 2013. 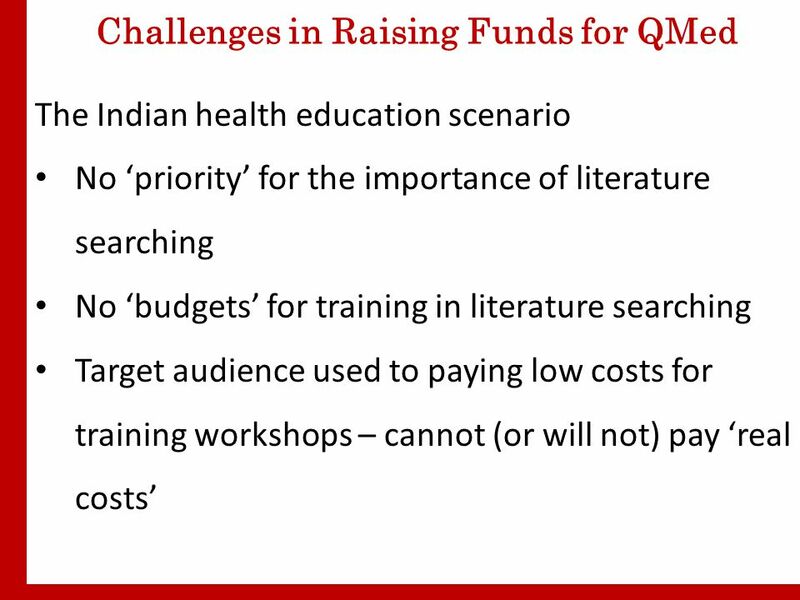 13 Challenges in Raising Funds for QMed People wonder… Why do we need to teach people to ‘search’! Why do we need to be a non-profit? 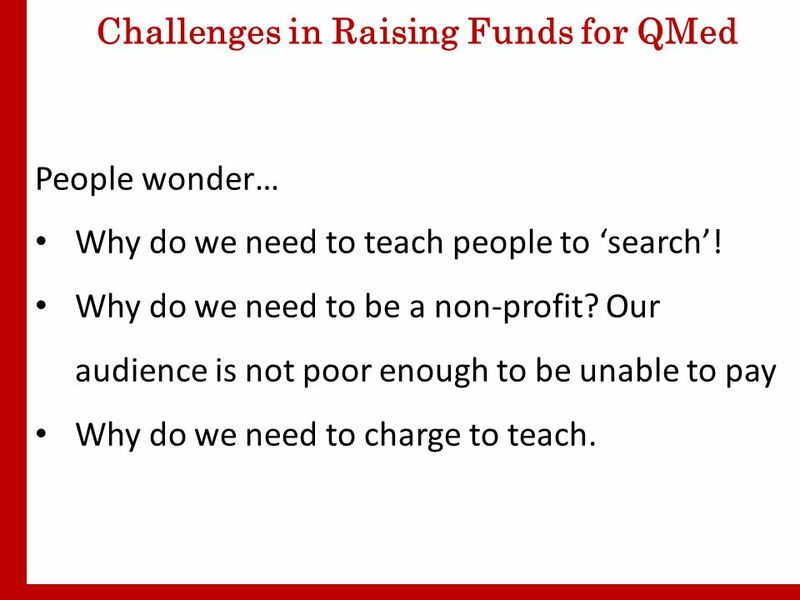 Our audience is not poor enough to be unable to pay Why do we need to charge to teach. 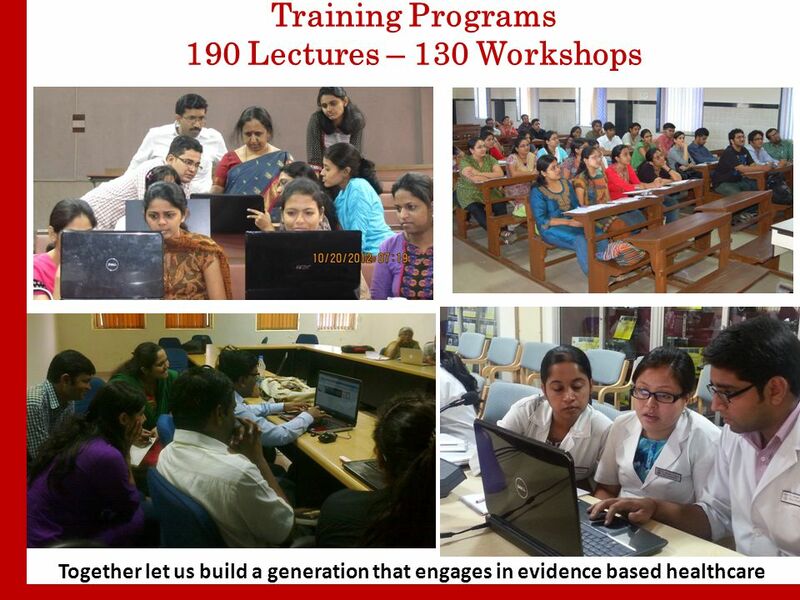 15 We Visualize…. 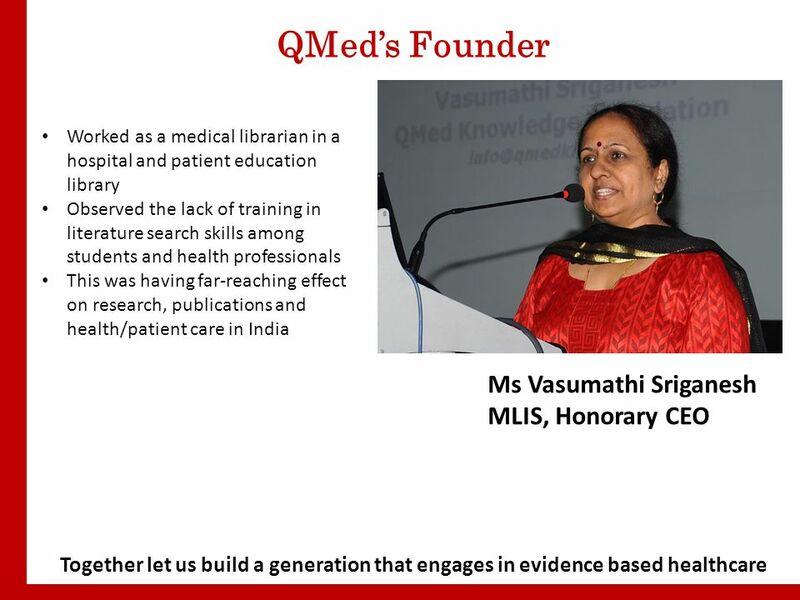 1.Literature searching and referencing training to be part of the medical education curriculum 2.Trained professionals in every teaching institution to teach and support students and professionals in good literature search and referencing practices 3.Every health care institution providing access to important, evidence based resources to its students and faculty 4.Institutions sharing resources, with effective technology usage, and adhering to good copyright practices AND – We Need FUNDS! 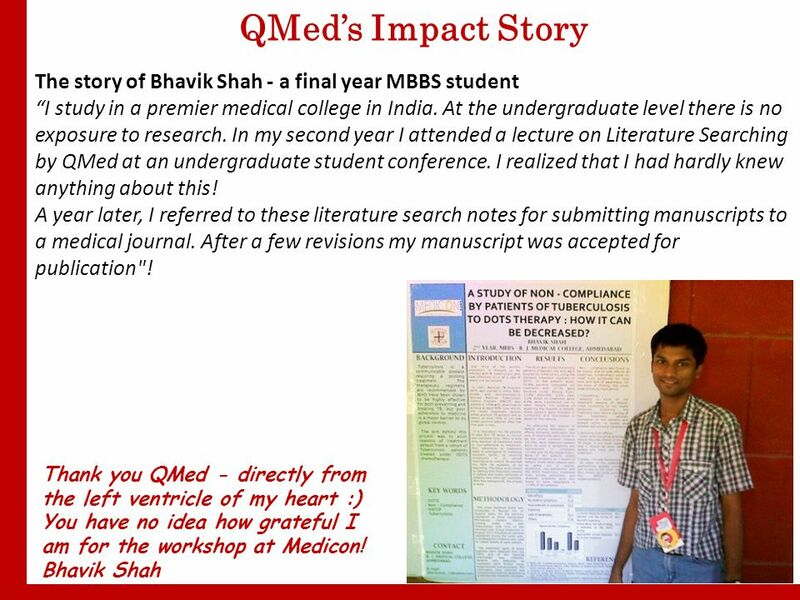 Thank you for Funding us!! 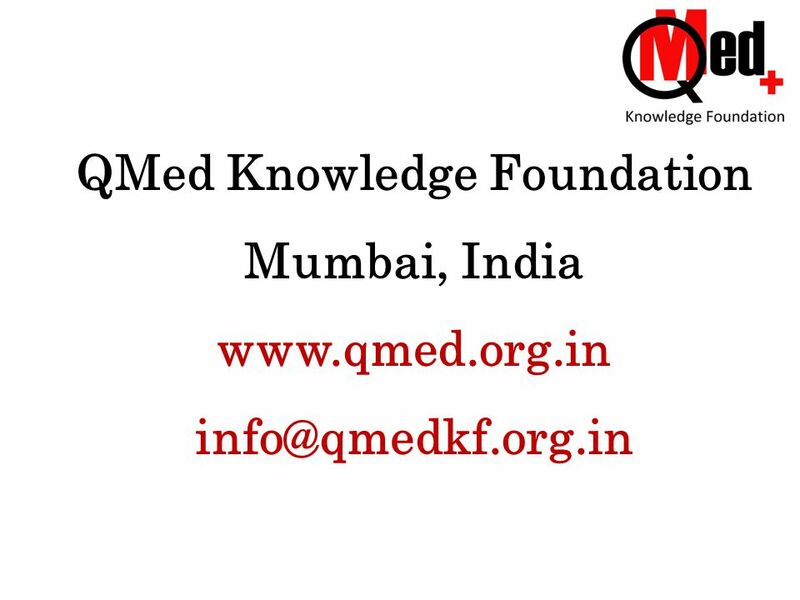 Download ppt "QMed Knowledge Foundation India Together let us build a generation that engages in evidence based healthcare." Clinical Medical Librarian Services for Nurses Clista Clanton, MSLS, AHIP Ellen Sayed, MSLS, AHIP University of South Alabama Biomedical Library. Sharing the Experience of Inserting Standardization Course in the Universitys Curricula by: Bambang Purwanggono DIPONEGORO UNIVERSITY INDONESIA. Networking with Clinical Nurses Fusing Magnet & Organizational Missions Mary Wickline, MLIS, M.Ed. Instruction & Outreach Librarian to Nurses & Allied. A lbania-Hawaii H igher E ducation and E conomic D evelopment Project The Albania/Hawaii Higher Education and Economic Development Project (AHEED) Dr.
Arts and Health Heather Eardley National Projects Director. ‘ Hello, I'm Your Personal Shopper... ’ Promotion Through Training Andy Jackson Learning & Teaching Librarian University of Dundee. 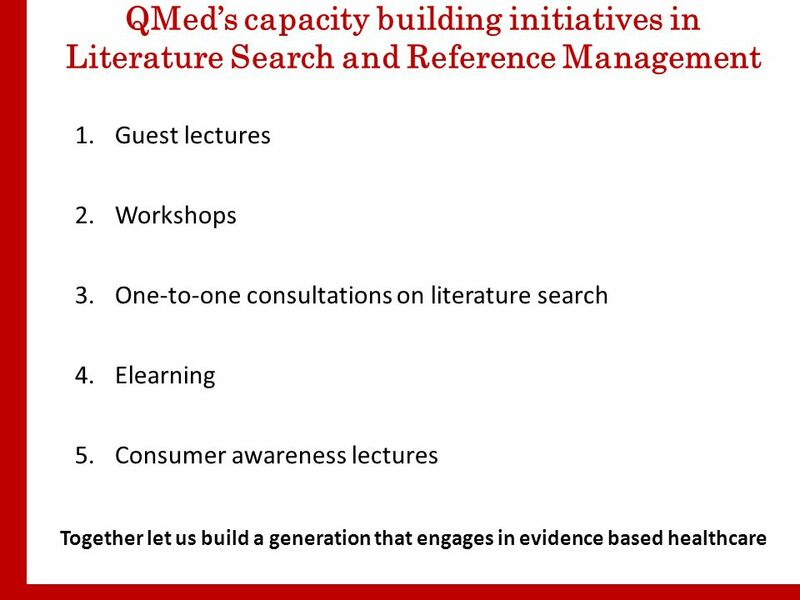 Health Literacy eLearning - creation and evaluation of an engaging online experience Katrina Grieve, Patient Education Specialist Bridget Morant, Information. 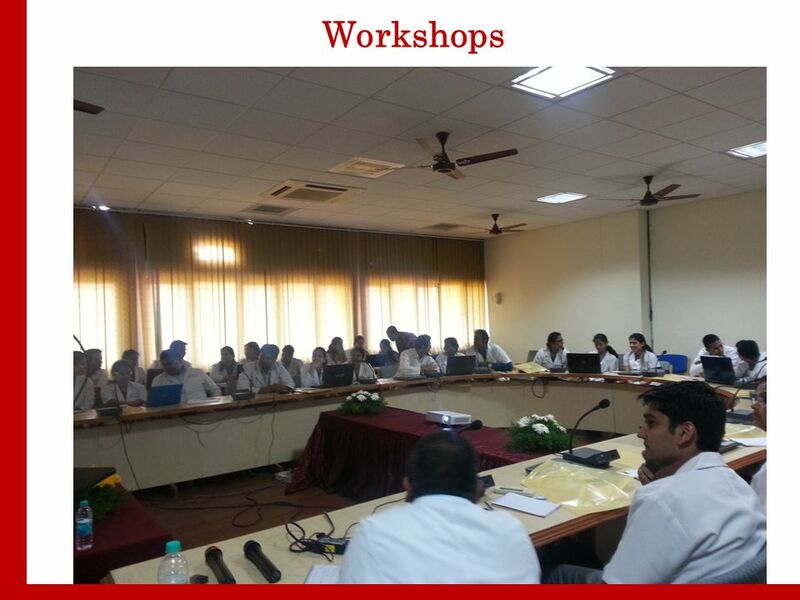 2015 OLT Seed Projects Information Session. OLT Grants Programs Innovation and Development – 2 year duration – $225,000 maximum funding Seed Projects. 1 The International Focus of the University of Kansas KANSAS ROOTS, GLOBAL REACH A Presentation By Provost/EVC Richard W. Lariviere December 2006. Faculty Senate December 1, Vision Statement for Creating a Statewide Network We are the premier, integrated comprehensive health system in. 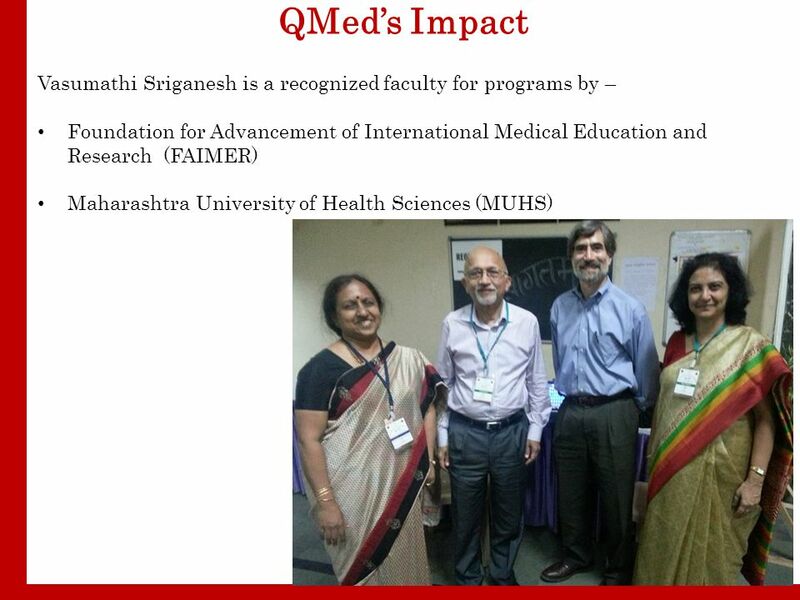  Institute for Healthcare Improvement Open School UBC Chapter September 29, 2014. Didactic Learning SAMPLE OF DIDACTIC PROJECTS Clinical Experience FULL TIME CLINICAL ROATION 2009 UNC HOSPTIALS, CHAPEL HILL, NC Community Outreach & Service. 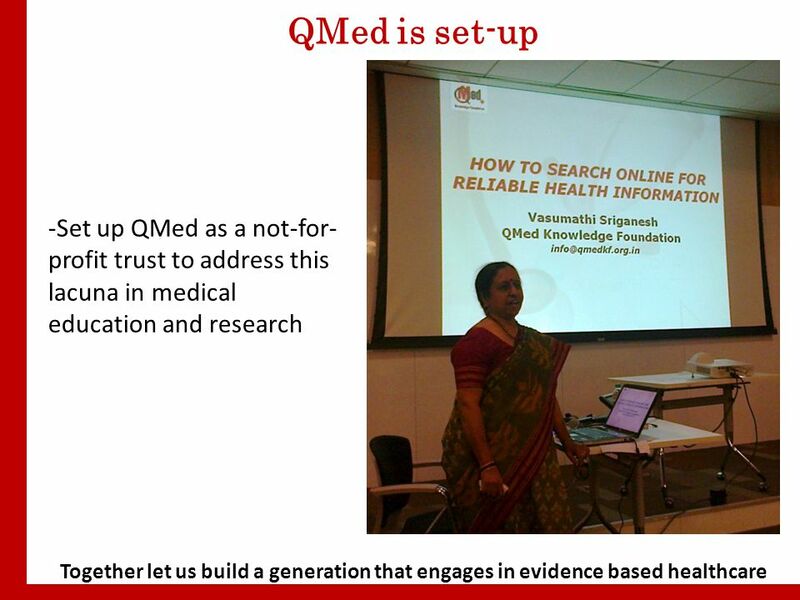 Joanne Muellenbach, MLS, AHIP The Commonwealth Medical College Scranton, Pennsylvania June 26, 2012. 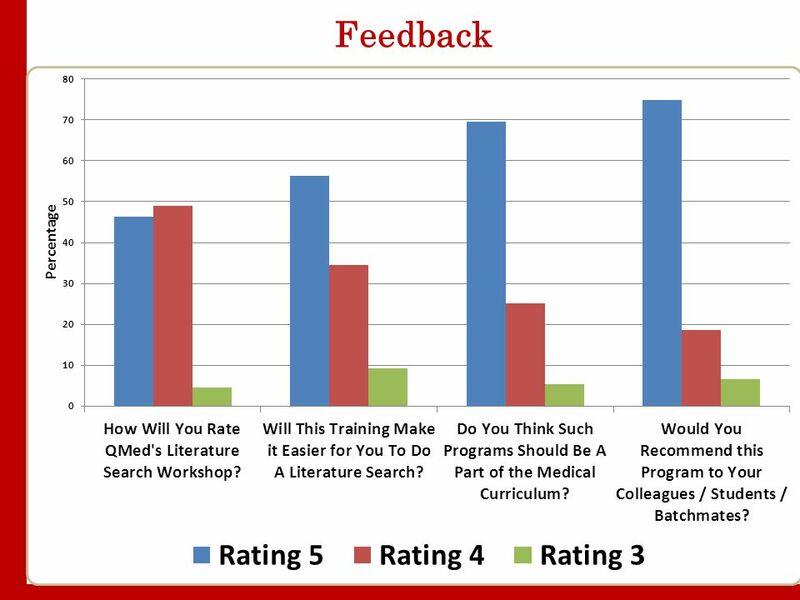 A Summary of Recommendations From the National Conference C. Brewer, U MT, 2/2010. Preparing Now for Your Future Academic Career in the Geosciences Heather Macdonald, College of William & Mary Rachel O’Brien, Allegheny College. 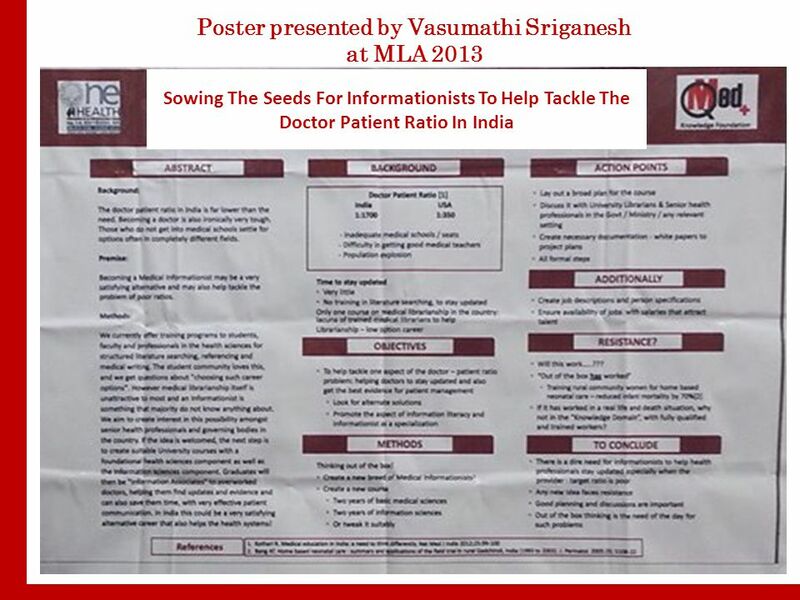 Designing LAMS templates for medical education Bronwen Dalziel School of Medicine University of Western Sydney.